I love Saturdays! It was Julia's 1st swimming class session this morning and we had so much fun. I will tell you more about our experience on a separate blog post. Today after Julia's nap, we will get together with some friends. We have been planning this for months already. Work has been crazy busy the past few weeks and will continue to be busy so I am glad my friends and I can meet up today to catch up and eat. After, we will be dropping by the Podium Mall for the 2013 Belly Blessed Fest. 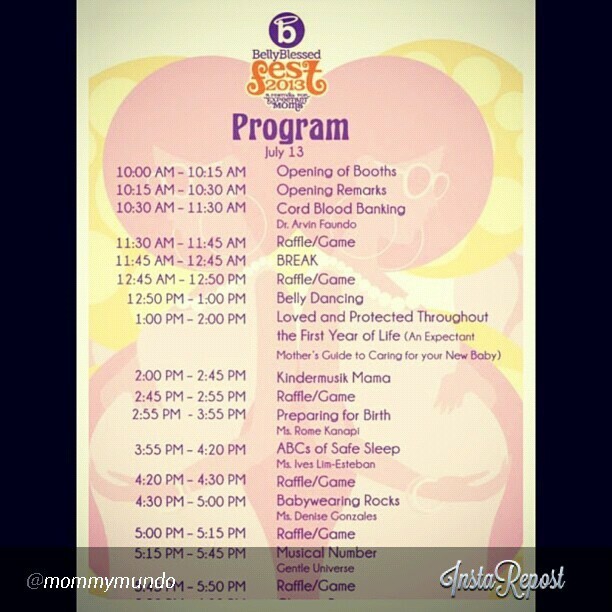 Belly Blessed Fest is a 3-day event where we celebrate the magic of motherhood and wonders of womanhood. This is not only for expectant moms and dads-to-be. This event is for the whole family! Today, there will be an all-day program of informative talks and fun activities. I am looking forward to visiting my favorite mompreneur booths and products. I hope to see my fellow SoMoms there too. 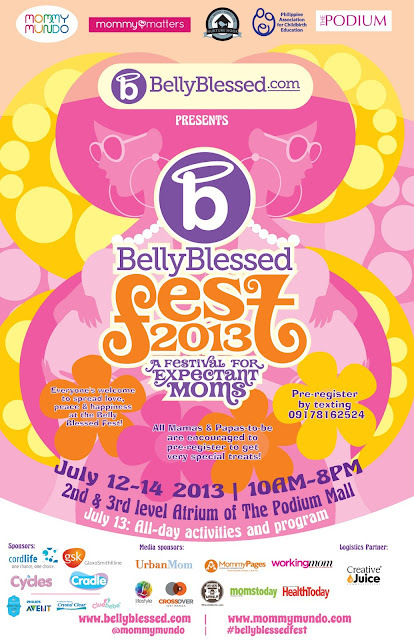 Belly Blessed Fest will be at The Podium until tomorrow so see you there!